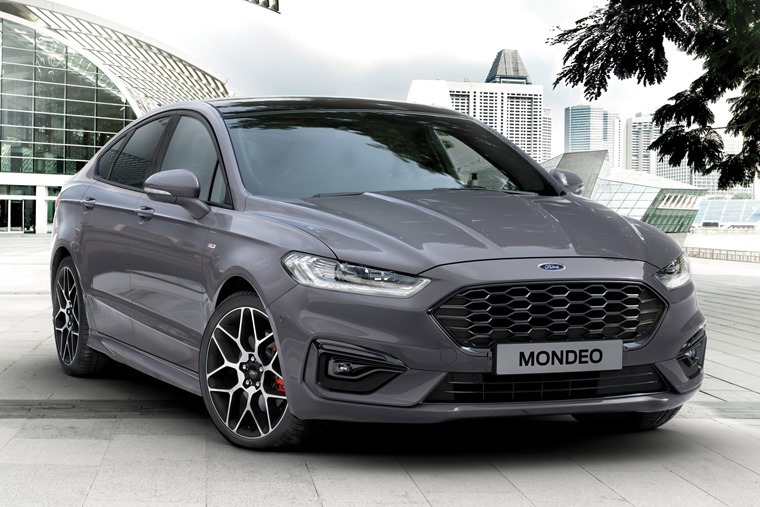 Ford has revealed the refreshed Mondeo range at the Brussels Motor Show, ahead of deliveries in March. The range features a new design, with each trim level having its own grille. As such the Titanium model has horizontal chrome, ST-Line grilles are finished in black, and flagship Vignale receives the ‘flying-V’ grille. This is on top of new driver assistance features, new diesel options and a hybrid estate addition. Ford’s new intelligent eight-speed automatic transmission, which adapts shift patterns to driving style for improved refinement, is controlled using a rotary gear shift dial while Adaptive Cruise Control is enhanced with Stop & Go for easier driving in motorway and stop-start traffic. 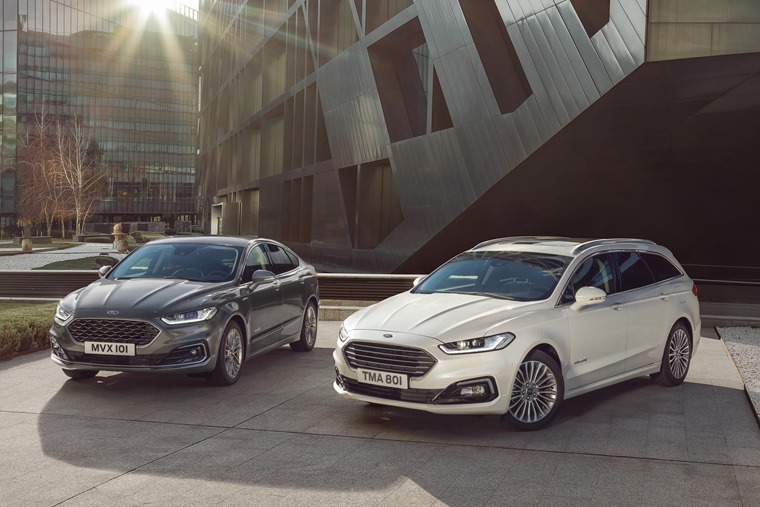 In both wagon and coupe-inspired four-door body styles, the self-charging Mondeo hybrid combines a specially-developed 2.0-litre Atkinson cycle petrol engine, electric motor, generator, 1.4kWh lithium-ion battery and a Ford-developed power-split automatic transmission. Ford has high hopes for the new engine, with Roelant de Waard, Ford European marketing, sales and service vice-president, expecting it to account for up to 50% of sales. Delivering 184hp, it is more effective at using the engine’s torque to deliver greater fuel efficiency and performance – seamlessly adjusting transmission ratios to utilise the highest engine torque at lowest engine speed. Regenerative braking technology captures up to 90% of the energy normally lost during braking to replenish the battery, contributing to anticipated CO2 emissions from a targeted 98g/km for the existing hybrid four-door, and anticipated CO2 emissions of 103g/km for the newly launched estate. Ford’s SmartGauge interface includes a Brake Coach that encourages gradual braking to help return more energy to the battery to further help drivers optimise efficiency without sacrificing performance. 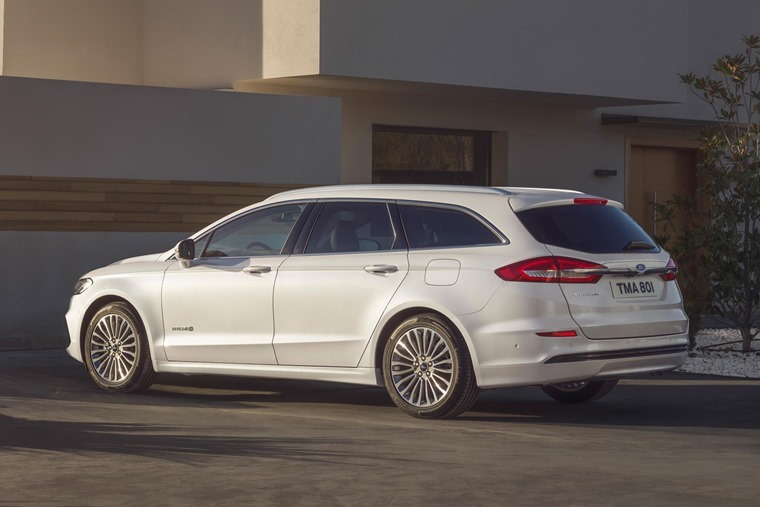 The new hybrid estate provides 403 litres load capacity with the rear seats in place, and up to 1,508 litres with the rear seats folded. An innovative flat floor over the battery pack makes loading and unloading of large or bulky items easier. 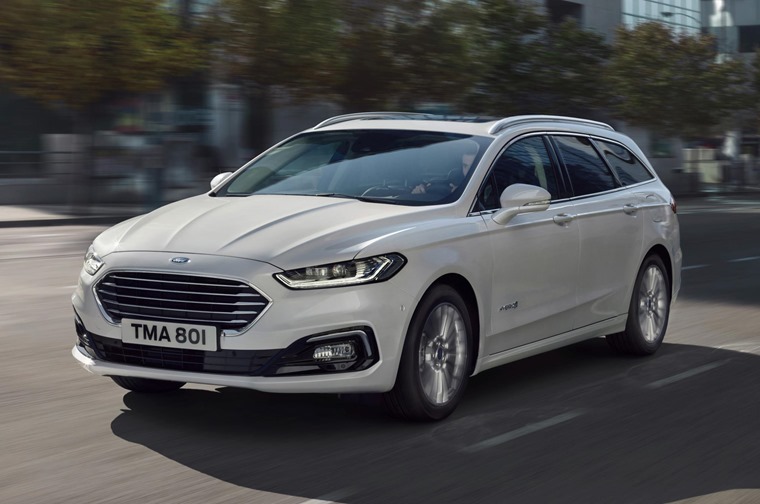 If a hybrid isn’t for you, Ford’s advanced 2.0-litre EcoBlue diesel engine is also being introduced to Mondeo for the first time. This delivers the driving performance of a larger capacity engine with the fuel efficiency and low CO2 emissions of a smaller engine, and is offered with either 147hp or 187hp. Ford's 162hp 1.5-litre EcoBoost petrol engine is also available. Ford’s new eight-speed automatic transmission, featured in both states of tune for the diesel engine, further optimises fuel efficiency and delivers responsive performance and smooth, swift gearshifts. A six-speed manual transmission also is offered, and 2.0-litre EcoBlue Mondeo models can be equipped with Ford’s Intelligent All-Wheel Drive technology. This measures how the car’s wheels are gripping the road surface and can adjust torque delivery up to 50/50 between the front and rear wheels. Fuel economy figures as well as pricing for the range will be available at a later date.